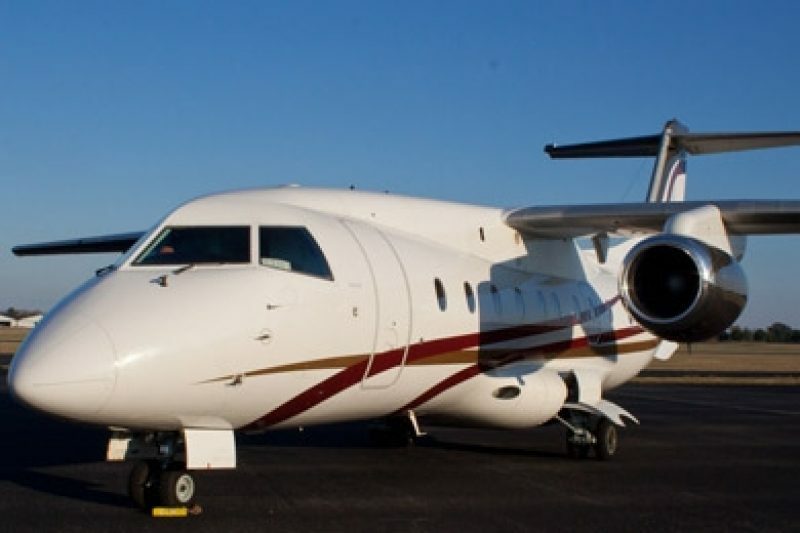 Citing a court ruling involving a ProPublica public records request, the Federal Aviation Administration says private jet owners may not block their whereabouts from real-time flight tracking without a valid security concern. The National Business Aviation Association objects to the proposed FAA rule change. The Federal Aviation Administration is proposing rules that would prevent private plane owners from keeping their flight records secret unless they can provide a valid security concern. The FAA said the practice of blocking flights from real-time tracking data had created a transparency issue and cited a federal court ruling involving a Freedom of Information Act request that had been filed by ProPublica. In recent months, blocked flights have prevented the public from learning details about a plane suspected of being used for gold smuggling, a prominent minister accused of sexual abuse involving private jet trips and the travels of New York City Mayor Michael Bloomberg during a major snowstorm. If adopted, the FAA plan would limit a program in which plane owners can keep their flight information secret by sending a request to an industry group, known as the National Business Aviation Association. Under the current system, the group provides the FAA a list of requests, and government workers block the flights no questions asked. The FAA created the system based on concerns that the proliferation of websites posting real-time flight-tracking presented a security threat to executives and could jeopardize business deals. After ProPublica filed its public records request in December 2008, the FAA agreed to release the tail numbers of planes on its block list. The business aviation association sued the FAA to prevent the agency from doing so but lost. When the list finally was released last spring, ProPublica found a number of individuals and companies that signed up for the program after receiving bad publicity. Among them were a televangelist facing a congressional inquiry, governors questioned about personal trips on state planes and Fortune 500 companies that had received government bailouts. The business aviation association said that it would oppose the FAA's proposal, issued Friday, because it represented "an unwarranted invasion of the privacy of aircraft owners and operators, a threat to the competitiveness of U.S. companies and a potential security risk to persons on board." The group's president, Ed Bolen, said the government would be providing the means to "electronically stalk" people. "When the sanctity of citizens' private conduct is threatened by the use of information technology, government's job is to protect the individual, not facilitate the intrusion," Bolen said in a statement. He added that the public doesn't have access to toll records of where people are driving. Use of the national airspace has generally been considered public information because planes rely on a taxpayer-funded system of air traffic controllers, radars, runways and towers. To oversee aircraft safety and registration, the FAA collects information about the plane, where it's going and when it takes off and lands. Under the new rules, flights could be blocked only if plane owners could prove to the FAA that there has been a threat of death, kidnapping or serious bodily harm or a recent history of terrorist activity in the area where the plane travels. A private jet used by Texas businessmen was seized in the Congo last month after officials there said it was used to smuggle gold. New York City Mayor Bloomberg has taken heat over his whereabouts during a December blizzard. The Wall Street Journal recently reported that one of the planes he uses was in Bermuda at the time. Last fall, four young men sued the prominent Bishop Eddie Long of sexually abusing them during trips, in which they flew on his private jet. In all three cases, the flights were blocked on websites that post the government data feed. Reporters can still obtain the information through a longer, formal request process. The FAA proposal is open for public comment until April 4 through the website, www.regulations.gov.